Belle and Sebastian played a beautiful set last night at Celebrate Brooklyn! in Prospect Park. Included in this set was a fantastic live version of “Your Cover’s Blown”. Speaking of which, you can check out the Miaoux Miaoux Remix of that song right here. 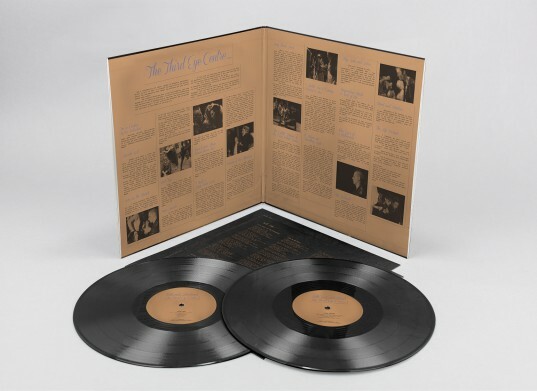 This remix is also on the August 27 release of The Third Eye Centre a compilation of remixes and non-LP Belle and Sebastian tracks from the past decade. Check out some of the gorgeous packaging below. All formats (CD, standard LP, deluxe LP) can now be pre-ordered on the Matador Store. And to those first 100 folks who pre-order the deluxe LP, you’ll receive a free Belle and Sebastian autographed poster that features exclusive artwork. So get on that pre-ordering! (update: the 100 posters w/ deluxe LP are now sold out).